Step Two: Place a qualifying bet or £10 or more. Step Three: Upon your qualifying bet settling, you'll receive £30 in Sportsbook free bets and a £10 Casino Bonus! Key Terms: 18+. UK/Irish customers only. Footyaccumulators, Thewinnersenclosure, Oddschanger and TeamFA sign-ups only. Cash stakes only. Min £10 stake required for initial £10 free bet. Min odds ½. Max £50 in free bets. One free bet per day. Subsequent free bets credited day after placement. Qualifying bet must be first bet placed within 30 days of opening account on a Sportsbook market. Free/Void or Cash out bets won’t qualify. Free bet expires after 7 days. Payment method restrictions apply. T&Cs apply. BoyleSports give their players a the chance to avoid the heartache of losing by just one selection with their Acca Insurance. Get a FREE BET if one leg loses in your Accumulator which contains 5 or more selections. This applies to ALL MARKETS on ALL SPORTS including pre-match and in-play! Minimum stake is £5 with the maximum refund coming in at £20 - minimum odds must be 1/2. 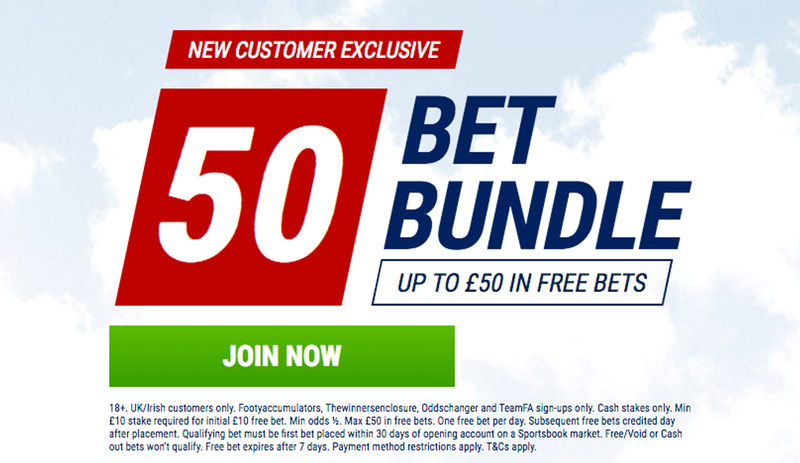 Get a free £/€5 accumulator for every 5 x £/€5 any combination sport accumulators you place. T&C's apply. Opt-in required. 18+. Min 5 legs. Min stake £/€5. £/€5 free acca. Min combined odds of 3/1. Pre-live markets only. Online exclusive offer.